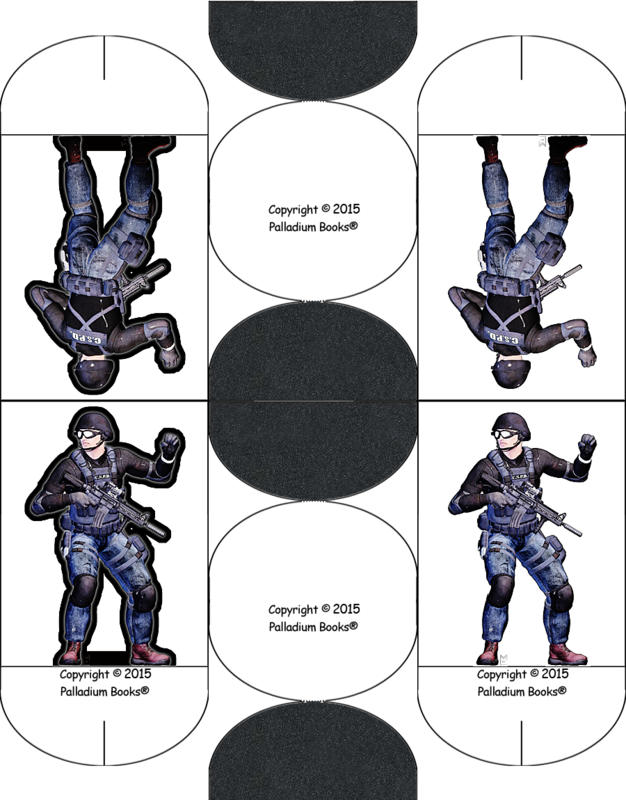 So one of my regular commission customers is requesting a set of civilians and cops for his Heroes Unlimited game; some of you may recall my first foray into the paper mini field was linked here by Rhannon from my DA page, a set of Superheroes and civilians. That original was lost with my hard drive crash and frankly wasn't too good anyway, so with this commission I'm going to re-render the people for a new set. In addition to the civilians I'll be doing a full SWAT team and a few regular cops, both uniformed and plain clothes. Gotta finish this first set of Bizantium Heroes first, but in the next week or two I should be laying into these guys. Thanks, but with the all of the excellent feedback you guys have given me in the past few years I've changed my rendering and post-work process enough that they won't be the same. Plus those originals were too small. With the wisdom tooth I had pulled on Monday keeping me in considerable pain, I've been updating these characters rather than making new ones.. Here's a preview of a few of them.. I (literally!!) feel your pain madmanmike, having had one of mine pulled the other week!! My sympathies!! Thanks. I'm getting through. Since spending 45 minutes pinned under the engine of my FedEx van with my femur through my hip back in 2011 my pain threshold has been pretty high, and I got two fillings without anesthetic before they pulled the wisdom tooth without any problems, but it took 45 minutes to break up and twist out that tooth and since.. yeesh.. Here's a sample of one of the SWAT guys.. I'm thinking I'll break this into two smaller sets of 14, one with civilians and one with 5 uniformed, 5 SWAT and 4 plain-clothed/detectives. 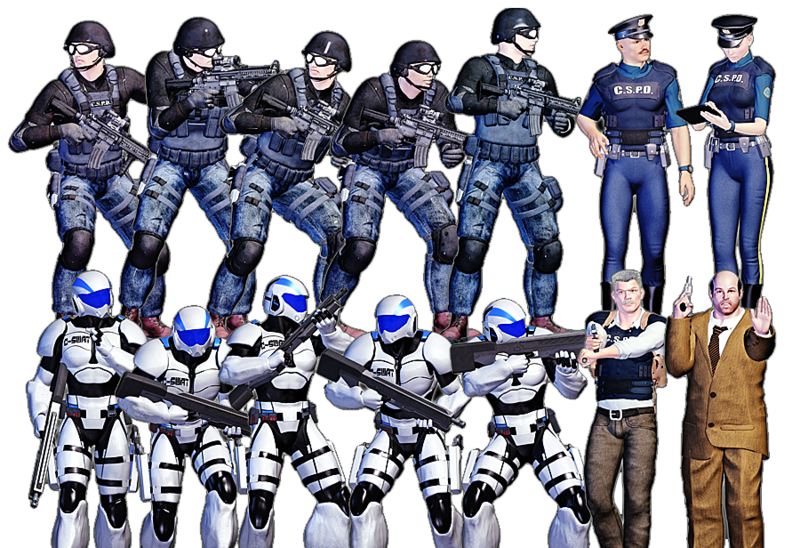 A quickie preview of the entire SWAT team. Some modern zombies and this set is perfect. These were done for a Superhero setting, but Zombies aren't far off..
Alright, I want some opinions here; Century Station is a superhero setting for the Heroes Unlimited RPG 2E; it's basically a Metropolis equivalent with advanced technology thanks to some alien interference. Because it's the city that attracts the most Super activity, their Police department has some high tech equipment; the SWAT guys I showed above are actually the patrol cops (all have SWAT level training), the uniformed cop in the pic before that is basically a meter maid, and the actual SWAT guys, known as C-SWAT, have high tech armor and lasers for combating Supers. 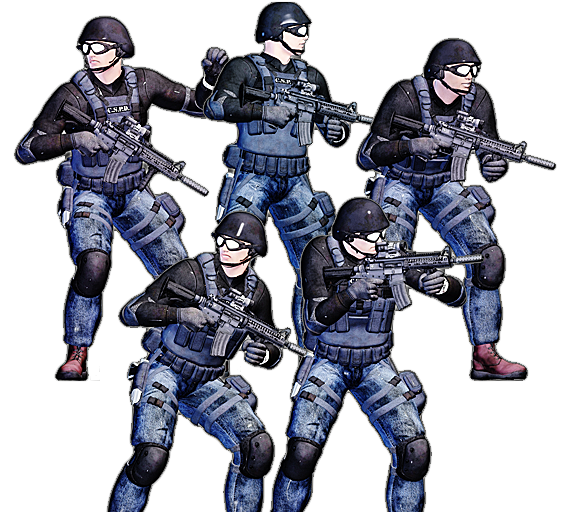 Should I do more uniformed cops for the set and put the C-SWAT in a separate set, or would you guys buy them as is? 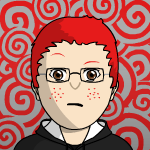 Huh, I had to look him up.. You're right, it does look like him.. Okay, I guess you guys are indifferent. When I get to these I'll probably do the three sets to distance the higher tech from the contemporary ones. I am not indifferent, I have no free available time and without PC. Okay, C-SWAT will have two squads of five guys and 2 Juggerman robot vehicles for 10 total minis (two formats, with bases on the same page as the minis, so two pages) for $2.99. Civilians and cops will come 14 each for $2.99 a set. 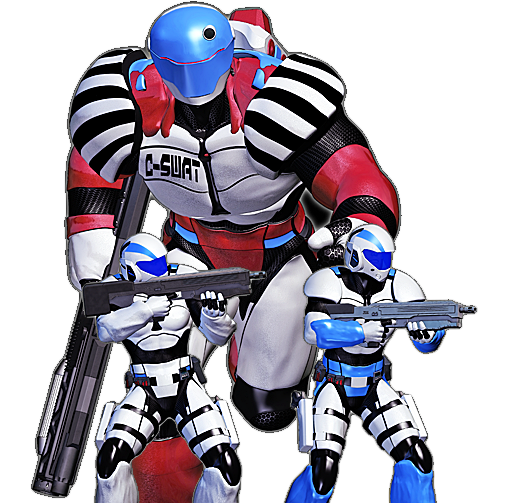 Is the "guy" in the back a c-swat "guy" or a "juggerman." Those are to scale; a Juggerman is a piloted robot vehicle, so yes, it's the Juggerman. The pilot is in the chest.